You need to set up your application to work with Twitter. 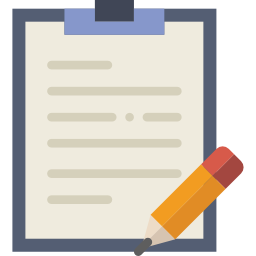 We&apos;ll guide you through the process — it&apos;s pretty easy. 1. You&apos;ll need a Twitter account. 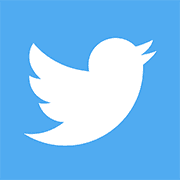 Sign in to Twitter and go to //dev.twitter.com/apps. Click Create New App button. 3. 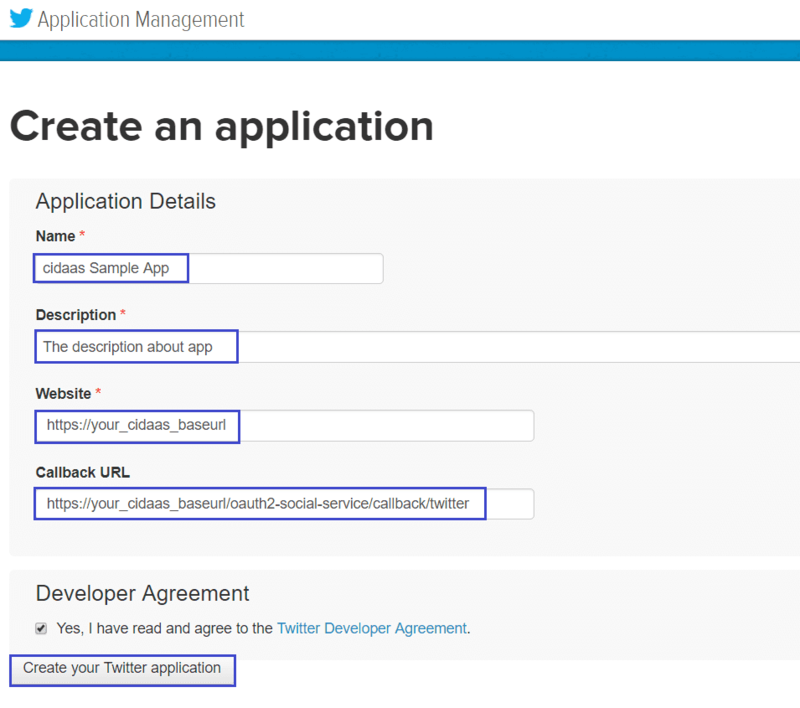 Agree to the Developer Agreement and click on Create your Twitter Application. 4. Once the app is created, go to the Settings tab and verify that the Allow this application to be used to Sign in with Twitter option is selected. 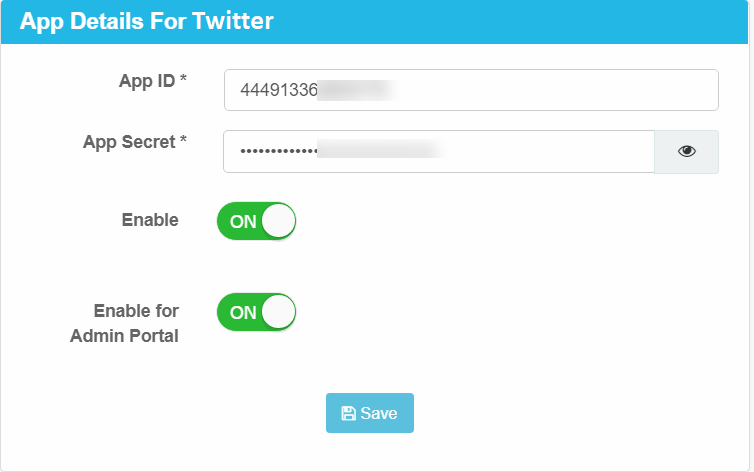 Note: By default, Twitter requires users to re-authorize their application permissions at every sign in. If you don&apos;t want users to have to re-authorize, please click on the Settings tab and enable the “Allow this application to be used to Sign in with Twitter” setting. 5. 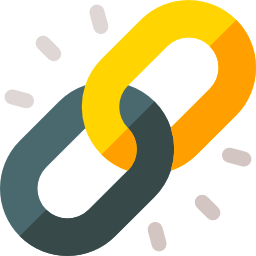 Your Consumer Key and Consumer Secret will be displayed in the Keys and Access Tokens tab of your app on Twitter. 6. Click on the Permissions tab. Use the values shown here to update the Application Type section and save your changes. 8. 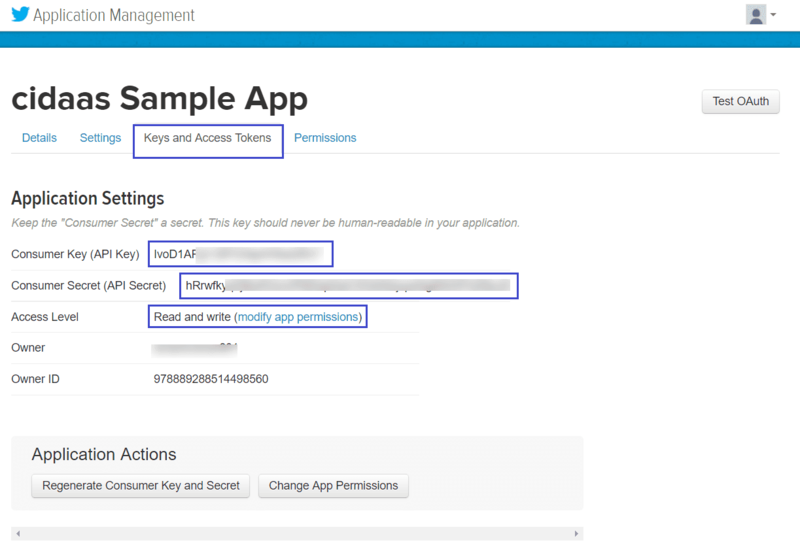 Now, go to cidaas Admin dashboard -> Settings -> Social Providers and select the Twitter app from the menu and paste the copied Consumer Key and Consumer Secret to respective text fields. 10. After selecting all the required details, Cclick on SAVE Button. Please note that this should only be done if you set your access type to Read and Write. Enabling the Read, Write and Access direct messages permission with this setting enabled will cause your application to not receive the direct message permission for new users.